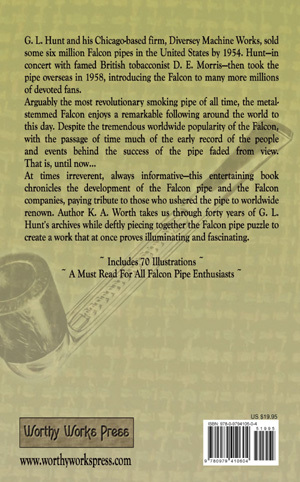 Late Chicago manufacturer G. L. Hunt first became exclusive Falcon distributor in 1948, then took over manufacture in 1956. In this work, author K. A. 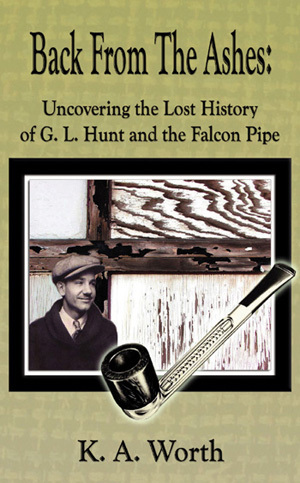 Worth, granddaughter of Mr. Hunt, chronicles the development of the world-famous Falcon pipe - and in tribute to her late grandfather - treats us to a fascinating profile of the great American entrepreneur.